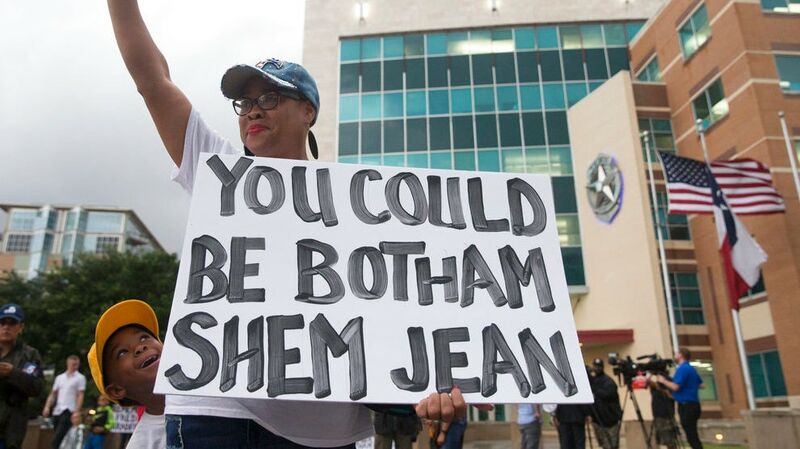 A Dallas City Council meeting came to a halt as protesters, angry over the killing of Botham Jean, took over and demanded justice in the controversial police slaying. Dallas Mayor Mike Rawlings called a sudden recess and left the meeting as chants of “No justice, no peace” rained down on him and the other council members. After the meeting resumed, the council voted to allow protesters to speak at the end, waiving a rule requiring them to register beforehand. The activists demanded changes to city policy to help end police brutality and improve community relations. “I watched our mayor huff and puff as our people spoke about how they’re tired of being killed,” activist Lelani Russell said during the open-mic portion of the meeting. That didn’t stop a number of protesters from directing very pointed comments at Rawlings and other council members. Activist Dominique Alexander, who helped organize the protest, has previously called for more details and answers into what led to Jean’s death, according to the Dallas Morning News. “It’s time for us to stop conducting business as usual,” he said. During the recess, Rawlings invited Alexander, along with Imam Omar Suleiman and Pastor Marcus King of Disciple Central Community Church, into a closed-door meeting to discuss the issue. Alexander told the Morning News that Rawling seemed sympathetic to their message. Botham Jean, a 26-year old employee of PriceWaterhouse, was shot and killed in his apartment by Officer Amber Guyger, who told authorities she mistook the apartment for her own and thought Jean was an intruder. The officer has been charged with manslaughter in his death. The Texas Rangers are investigating the shooting. The funeral for Botham Jean will be held today in Dallas.